You are here: Home » #Emilymatters » #Emilymatters – Post haste! Saturday 19th December was the last day to send cards in time for Christmas, using second class postage. Monday is the last day for first class postage. 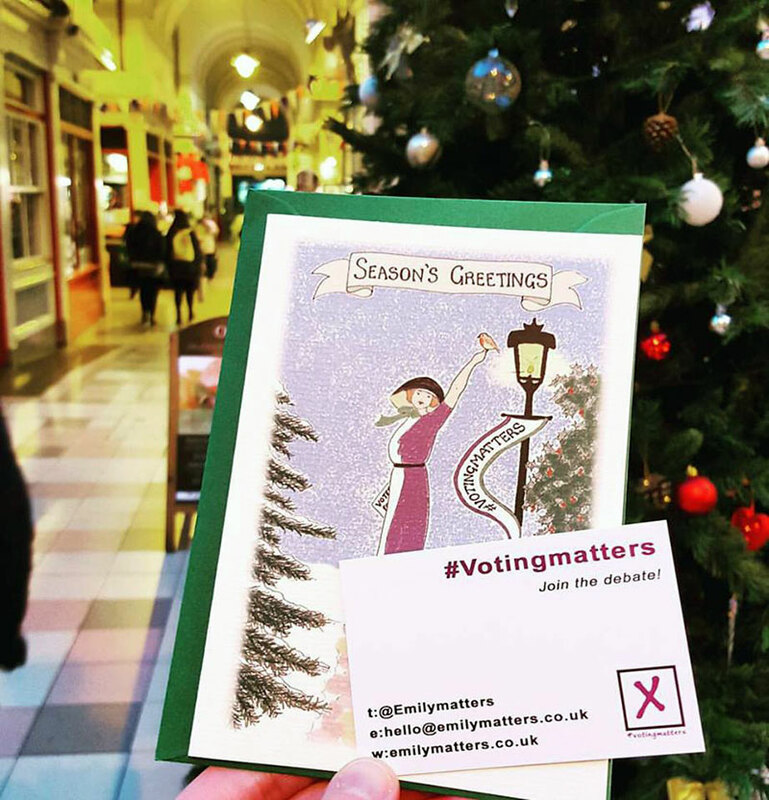 I went to the Strand specifically to post some more #Emilymatters Christmas cards. Can you guess why? 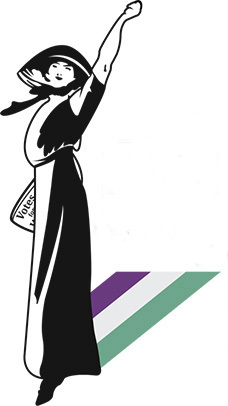 There’s a direct connection with suffragette Emily Davison. 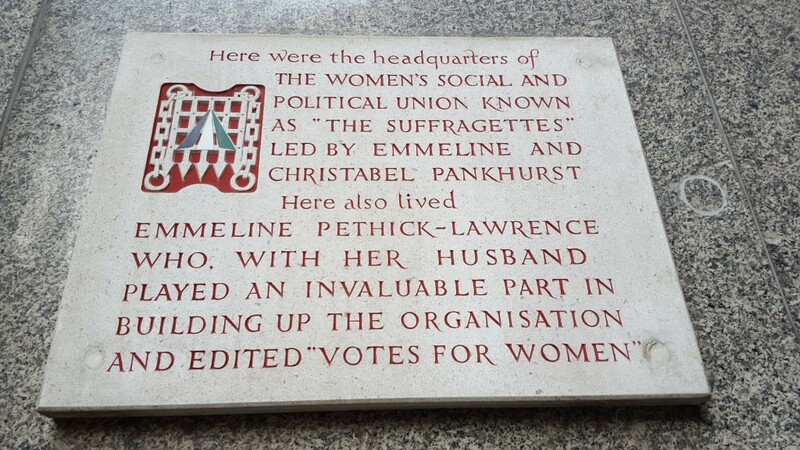 In fact the area is awash with suffragette history. Just a stone’s throw away there is a plaque marking the site of the former WSPU office, which later moved to grander premises down the road on Kingsway. The cards I posted included one for Irene Cockroft, women’s suffrage expert and one of the kindest people I know. 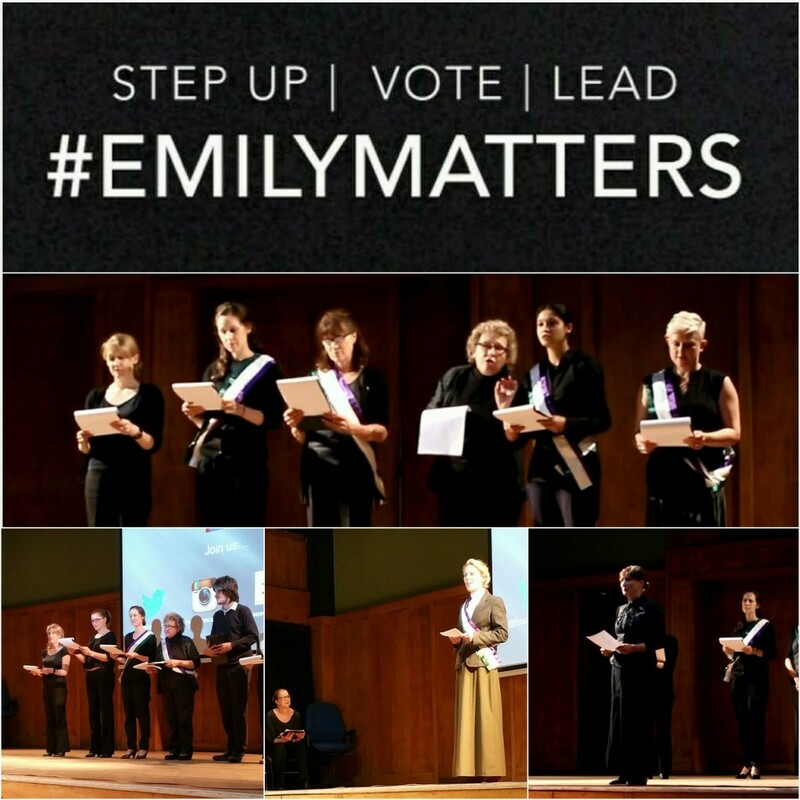 She has been very supportive of both To Freedom’s Cause as well as #Emilymatters. And what Irene doesn’t know about the suffragettes isn’t worth knowing! It was a lovely sunny morning and I had three interesting conversations with passers-by to match. The first was with a man walking up the road with his bicycle, who stopped to have a chat whilst I was taking a photo at the postbox on Fleet Street. He told me he belonged to the Reform Club and said he thought #Emilymatters sounded excellent, adding that his club was the first London Club to include women members. The second was with the postman who came to collect the mail in the postbox and advised me to go back towards the Strand. We had a good chat about Emily Davison and her sister suffragettes. He was a fan. Wonder what his colleague one hundred years ago would have thought? And the third was with another postman (in the clip) who knew a lot about Emmeline Pankhurst and is planning to watch Suffragette on DVD. We talked about Emily campaigning for a fair wage for all, not just for women. I’m mindful it’s become quite fashionable in some quarters to claim that the suffragettes did more harm than good and that the suffragists were able to bring about change alone. I would challenge this view, which although well meant is insulting to the women from all backgrounds who risked everything for generations yet unborn. They didn’t take up Militant tactics lightly. Promises were broken time and time again – Deeds Not Words became a suffragette slogan. As can be seen in the film Suffragette, the State employed evermore heavy handed tactics to shame and suppress women’s voices. Progress towards universal suffrage was mostly superficial and something clearly had to change. Another myth is that the suffragette movement was exclusively made up of upper middle class women with a few token working class women. It is true that many members of the WSPU were from affluent backgrounds and some of the WSPU hierarchy did push for Votes For Women of the same class. This prescriptive top down approach did result in some members (including Sylvia Pankhurst) leaving to continue the fight on their own terms. 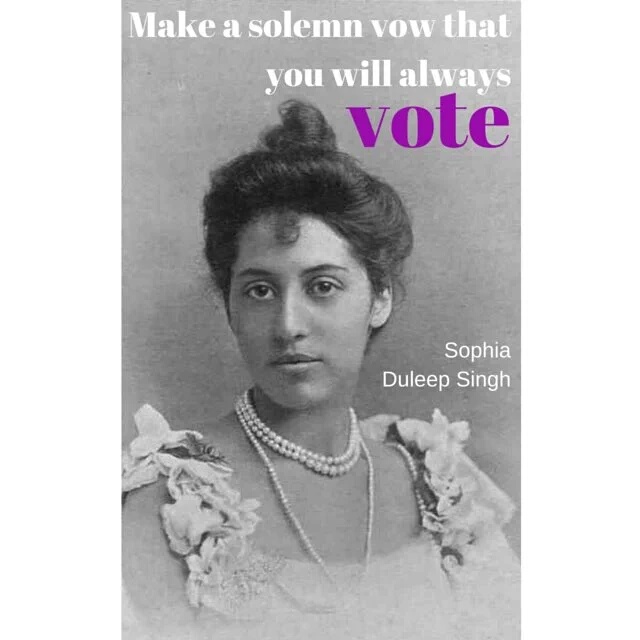 However, many remained part of the WSPU and kept pushing for votes for all women. Not least Emily Davison, Mary Leigh, Connie Ellis and Hannah Mitchell. Instead, I would suggest that it was the combined actions of the suffragists and suffragettes, which finally brought about Votes For Women in 1928. Although the methods of campaigning may have differed and we can discuss the individual merits or otherwise, this great tapestry of organisations and individuals all strove for the right to vote – as a first step towards equality. And this these combined efforts of feminism’s First Wave are something to be celebrated.